Carole Allen, MD is a board certified pediatrician with extensive experience in clinical practice, practice administration, public health and health care policy. 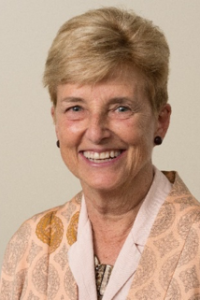 Before retiring from clinical practice in 2011, Dr. Allen was Director of Pediatrics for Harvard Vanguard Medical Associates, where she was responsible for oversight of the health care of more than 70,000 children. Since 2012, she has served on the Board of the Massachusetts Health Policy Commission that was created to improve quality of care while reducing total medical costs. Dr. Allen represents New England on the Board of Directors of the American Academy of Pediatrics, and served two years as president of its Massachusetts Chapter. Under her guidance, the Chapter engaged state officials in discussions of the role of the medical home, focused on the importance of investing in early childhood to pave the way to lifelong health and success, and partnered with the Massachusetts Department of Public Health in obesity prevention and tobacco protection initiatives. Dr. Allen also holds a leadership position with the Massachusetts Medical Society, and is president of the Tufts Medical Alumni Association. Dr. Allen is also a community leader in her town of Arlington, where she has helped to develop and enforce regulations restricting the use of tobacco in public places. As Chair of the Tobacco Free Mass Coalition in 2004, she helped to pave the way to establish Massachusetts as a smoke-free workplaces state.